Hydra is a genus of small, simple fresh-water animals, typically found in fresh-water ponds, lakes and streams in moderate and tropical regions. Hydra are usually a few millimeters long and are best seen under a biological microscope. 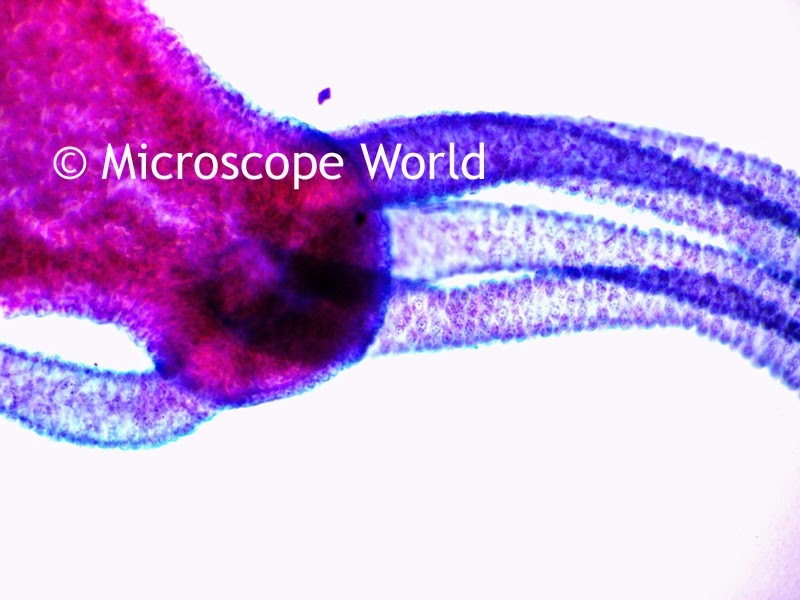 Hydra captured at 100x magnification. Each tentacle of a hydra is layered with highly specialized stinging cells called cnidocytes. The Cnidocytes contain specialized structures called nematocysts that, when contacted with prey, can fire neurotoxins paralyzing the prey. Hydra tentacles captured at 100x under the microscope. Hydra do not have a recognizable brain or muscles. The nervous system of Hydra is a nerve net. 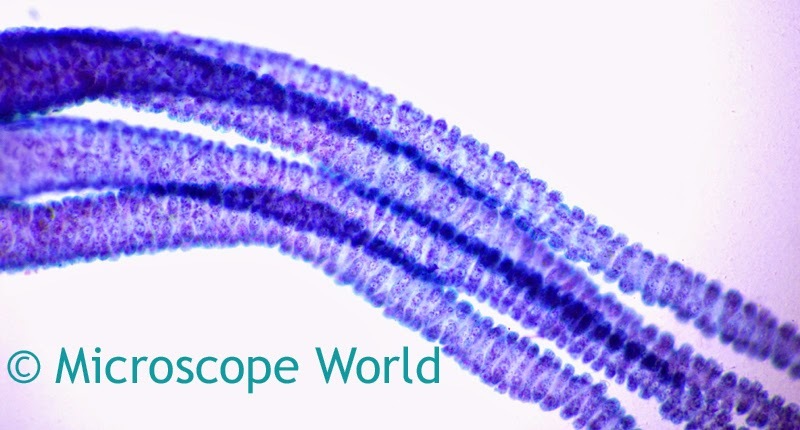 Hydra tentacles captured at 400x magnification under the microscope. Hydra extend their body to maximum length when feeding and slowly extend their tentacles. Upon contact with prey, the nematocysts on the tentacle fire into the prey while the tentacles coil around the prey. 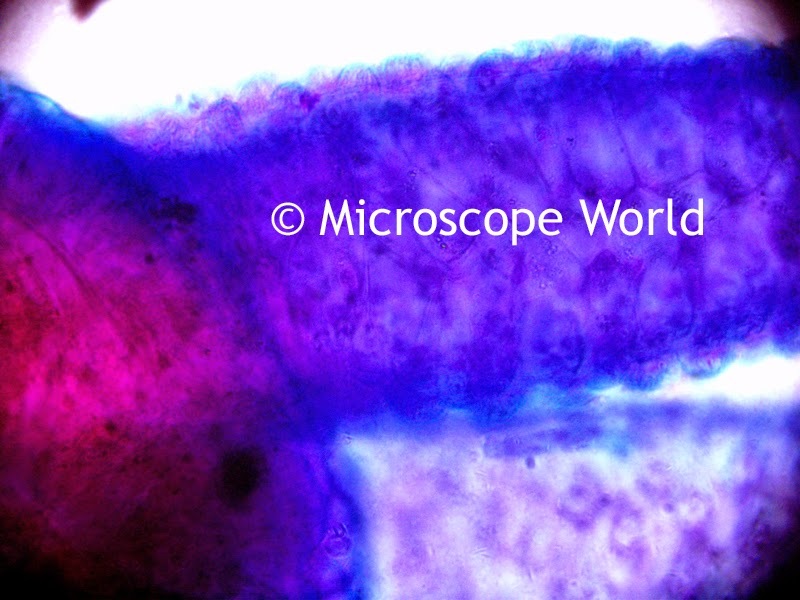 Hydra tentacles connected to body of hydra, 400x under the microscope. 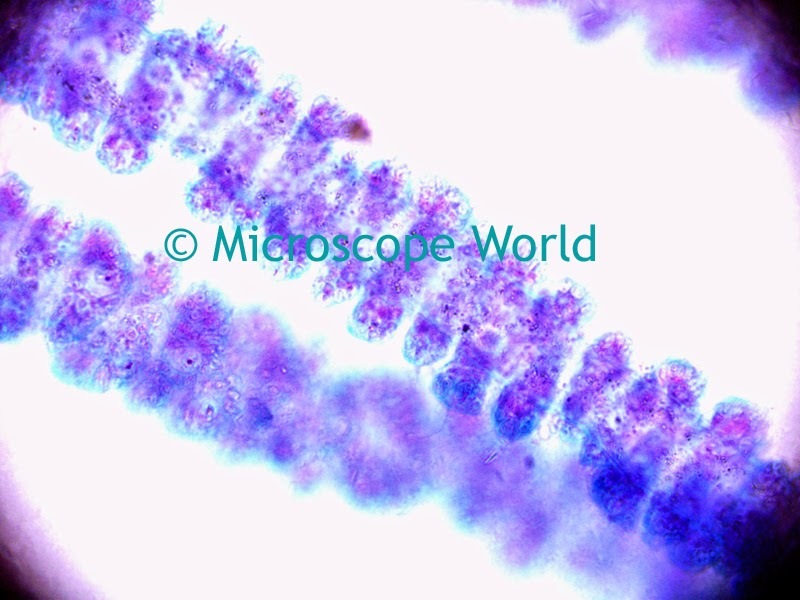 All hydra images were captured using the Richter Optica U2 biological microscope, with a 5mp microscope camera. Hydra tentacles captured at 100x magnification. 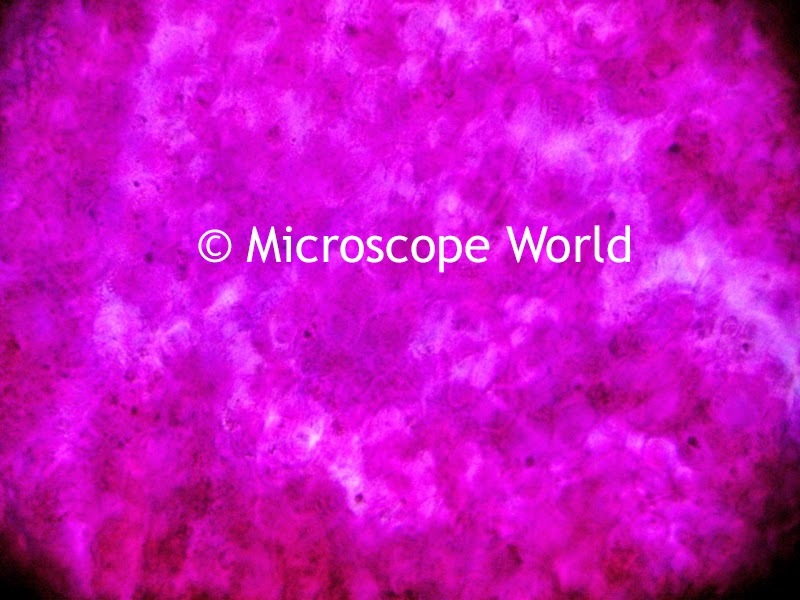 Hydra body captured at 400x magnification under the microscope. The hydra prepared slide can be purchased as part of the Zoology: Small Organisms prepared slide kit.